There are few things worse than driving a car with a screaming baby in the backseat. In Missouri, there are restrictions on how you can transport children in a car. If you don’t follow the child safety seat laws and you are in an accident, then it is possible to get a citation. Outside of the legal repercussions of not properly belting your children, if they are not restrained properly, then an accident can be devastating to their well being and future. 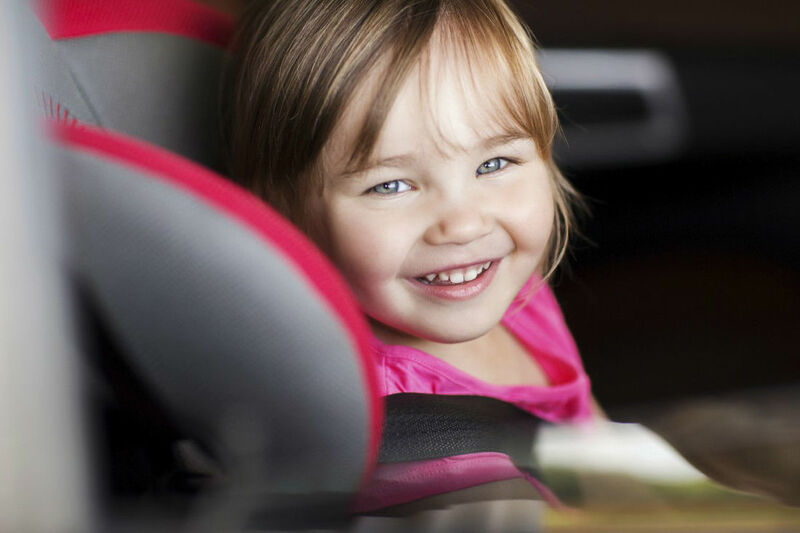 Children who are under the age of 8 - or are under 40 pounds - need to be restrained in an appropriate child safety seat. So even if the crying is more than you think you can bear, the consequences of not following the law and being in an accident can be much worse. Children who are between the ages of 4 and 7 and are at least 40 pounds must be in a child restraining seat or booster seat unless they are 80 pounds or 4'9" tall. If your child has been seriously injured or killed in a car accident due to another person's negligence, talk to a Lawyer for Free 24/7 at (314) 361-4242! As one of the preeminent firms helping victims of St. Louis automobile accidents, we understand how to build strong cases. When you hire our firm, you can be confident that everything will be done to protect your rights and recover the compensation you need. If You Borrow Someone’s Car and Are at Fault in an Accident, Who Has to Pay? 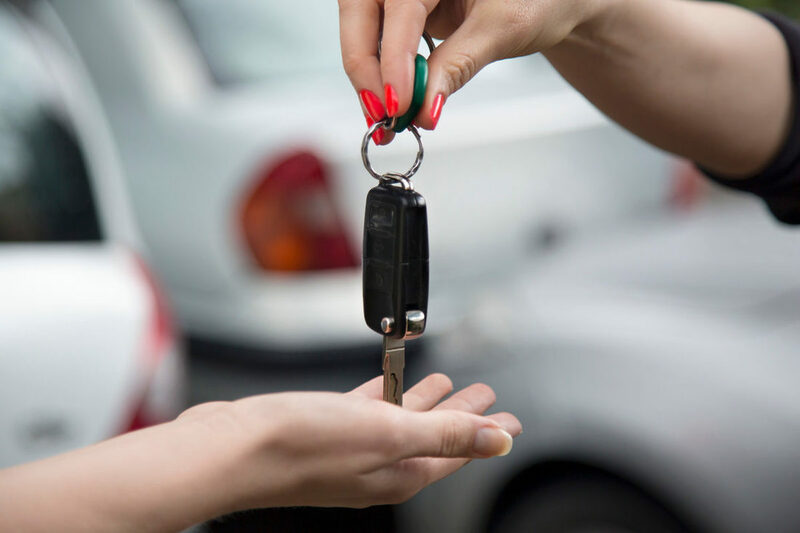 Before you lend your keys to someone else to drive your car, it is important that you understand what your rights and responsibilities are if they are at fault in an accident. Likewise, if you borrow someone else’s vehicle, it is important to make sure that the car is insured. The reason is that in Missouri, if you permit someone to drive your car and they are at fault for an accident, the owner of the car is held responsible and liable for any damages and injuries. The law of vicarious liability states that if you allow someone to get behind the wheel of your car, then you are responsible if they are found at fault in an accident. So if you let someone drive your car, it is a good idea to know what their driving record is and to be aware that they might put you in financial jeopardy. In the same respect, if you borrow someone else’s car and they don’t have insurance, then the fault will rest with you. If you do not hold insurance, then you would legally be considered an “uninsured motorist,” which is against the law. Missouri law states you must be insured if you drive. If you do borrow someone’s car and are in an accident, then you can’t make the assumption that you will be covered by their insurance. Some policies contain exclusions about who is a covered driver and who is not. If you live in the same house as the person who is insured and you are not explicitly on the policy, then you will likely not be covered if you are at fault for an accident. If you are at fault in an accident but you do not have a license, then although it would be the car owner’s responsibility through vicarious liability, the insurance company will likely deny the claim, which might mean you aren’t responsible for paying. However, that does not mean that the owner of the car can’t come back to sue you if they are on the hook for the damages and injuries you caused. If you borrow someone’s car and cause an accident, the best-case scenario is that you have a valid license, you aren’t excluded from the policy, and their insurance will cover the cost. But don’t ever assume that those things are in action unless both you and the vehicle owner are honest about insurance coverage, licensure, and other specifics before they lend you their keys. If you are in an accident in someone else’s car and questioning who is liable, it is best to speak with a St. Louis car accident lawyer to sort through the details. Whenever you use a rental car in St. Louis, you are given the option to take out extra insurance to ensure that you are fully covered while driving. 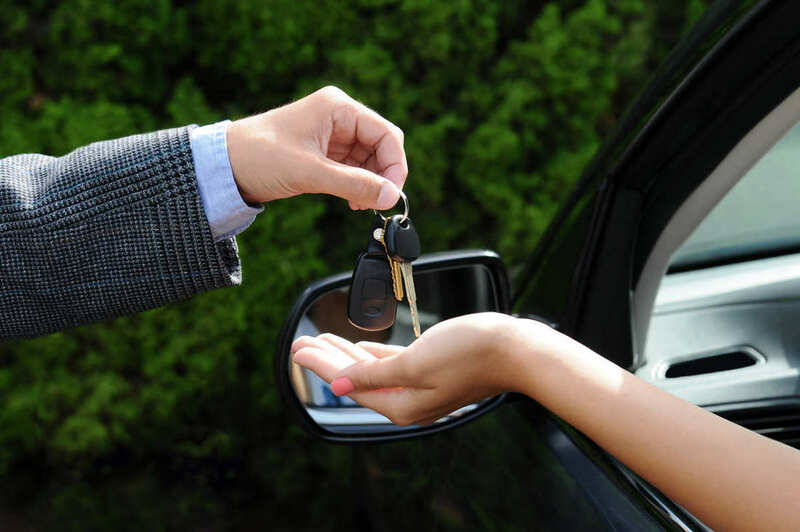 When it comes to borrowing someone else’s car, you are typically covered by “vicarious liability.” However, due to the Graves Amendment, rental companies are generally not liable for any damages and injuries caused that are your fault when you are driving a rental car. The Graves Amendment was a federal law that trumped states’ vicarious liability laws. The amendment essentially makes the driver of a rental car liable for any accident that is their fault. In most cases, when you drive a rental car, your own insurance coverage will cover you if you are at fault in an accident. But you can get in some serious trouble if you assume that your auto insurance will cover your rental car accident if you aren’t sure of your coverage. Before you decline any rental car insurance, it is imperative that you know the specifics of your auto insurance policy. Don’t just make the assumption that you are automatically covered when driving a rental car. Read through your policy or contact your insurance company to make sure that you don’t have any exclusions on your policy when you’re renting a car. If you have checked your policy and find that you aren’t covered when driving a rental car, it is usually a good idea to take out the insurance that the rental agency offers you. If you are in an accident in a rental car, you will want to make sure that your liability is limited. You will also want to pay attention to things like collision insurance coverage. All states require that drivers take out mandatory insurance coverage, which typically only involves liability insurance to cover others if you are at fault for an accident. If you are in an at-fault accident in a rental car and you don’t carry collision insurance, then you might be responsible for covering any damages to the rental car itself. Therefore, without a collision insurance policy, you might have to pay for the damages to a rental car, which can be quite significant. If you do have auto insurance, it is also important to pay attention to your deductible. If you are covered by your own policy, the deductible is the amount that you have to pay out of pocket for any accident. The minimal amount that you might have to pay to take out additional insurance coverage through the rental company might be well worth it if you don’t carry collision insurance or if you have a high deductible. When you drive a rental car, don’t assume that your own auto insurance will cover you, anyone you hurt, or the damage that you cause to a rental car; read through your policy or contact your insurance carrier directly to be sure. If you are in a rental car accident and unsure about what your rights and liabilities are, make sure to contact a St. Louis auto accident attorney to ensure that you are protected and that you aren’t left holding the bag for any resulting damages and injuries. Car accidents can occur in the most unexpected ways. For example, imagine you are on a quite street on an extremely dark night. You are backing your car and you suddenly hear a thud. You rush out of your car to check out what happened, and you realize you have backed into a car, which was not supposed to be parked there. It was in a tow zone, and someone had illegally parked their car there. You visit this place frequently, and you do not expect a car to be parked there. Who is at fault if you hit a car that is illegally parked?When you hit a parked car, you are moving and the other vehicle is not. Even if the car you hit was illegally parked in violation of statutes and ordinances, the law requires you to be careful and watch out for other vehicles, both moving and parked. So, in this case, you were in control of the car that was moving and the other was stopped. Although the other driver parked the car car in a wrong place, you still had a chance to prevent a collision. In fact, a legal doctrine called last clear chance will likely apply in this case. The other car, although parked in the wrong place did nothing wrong in the moment before the collision to cause damage. However, some jurisdictions have done away with the last clear chance doctrine. Contributory and comparative negligence formulas are used to evaluate circumstances and facts leading up to a collision. Once the facts are evaluated, proportional fault is assigned to all parties involved. In this case, the parties involved are the driver of the parked vehicle and the one that collides with it. 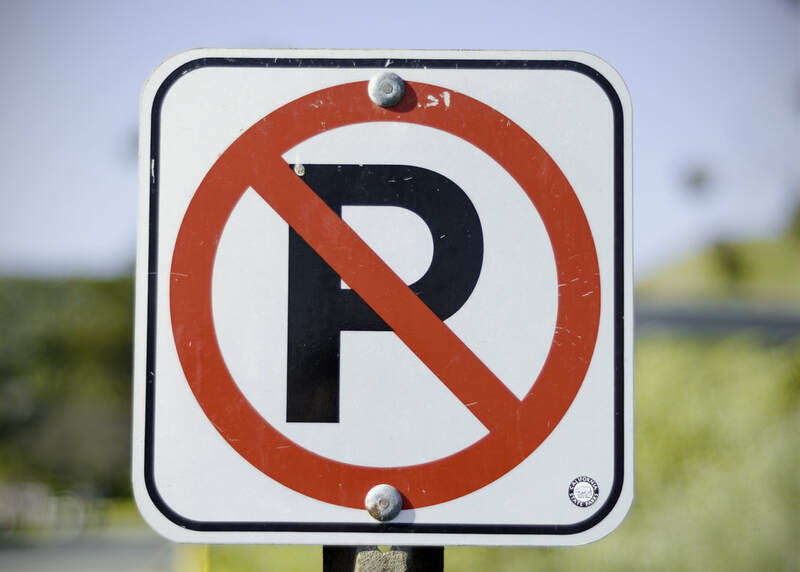 Under the concept of comparative fault, parking a vehicle in a tow zone is is in violation of a statute intended for traffic control and traffic safety. However, this is not what caused the collision. Backing the car into a parked vehicle is what caused the collision. So, no matter how you look at it, the result is the same. The vehicle backing into a parked car will likely be considered responsible for the crash. If you happen to hit a parked car, regardless of if it is legally or illegally parked, you might have to pay for the resulting losses. Seeking legal help in a car accident caseIn case you have been in an accident, you should always seek legal advice from an experienced and competent St. Louis car accident lawyer. Make sure you speak with an attorney before admitting fault or signing a document. Call (314) 361-4242 for a FREE consultation with an experienced attorney. Rear end car accidents often cause serious injuries even when they occur at low speeds. 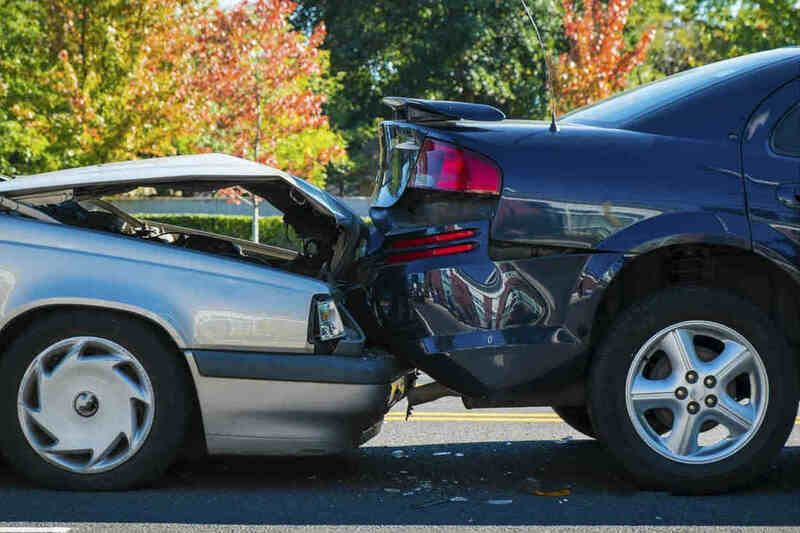 Rear end collisions are the most common type of auto accident. Despite what many people believe, rear end collisions can be the fault of either driver involved in the accident. If the driver in front stops their vehicle abruptly, the driver behind them may not have enough time to safely stop their car. Alternately, the other driver may not have been paying attention or may not have maintained a safe following distance. Sometimes these collisions are even the result of a chain reaction that involves other vehicles. Failing to maintain a safe following distance greatly increases the likelihood of a rear end collision occurring. Distractions - often caused by cell phones, eating, or messing with the radio - are a major cause of rear end accidents. Additionally, some drivers fail to drive responsibly in unsafe weather. Even at low speeds, these accidents can result in serious injuries. Though there may not be significant vehicle damage, drivers may experience whiplash or other injuries, even if symptoms are not noticed right away. When a car is from behind, the impact often causes the head to snap forward and back very quickly. This can severely injure the neck. Head injuries are another unfortunate possibility. Because they are not as easy to identify and can lead to permanent or long term damage, closed head injuries can be very dangerous. Many of the injuries that result from a rear end accident are soft tissue injuries. Even though they may present symptoms immediately, they can still be very painful in the long-run and affect your every day life. If you have been injured in a rear end car accident, you have rights and deserve to be protected. If the accident was the result of another drivers negligence, you deserve to be compensated for any resulting injuries, medical expenses, lost wages, and/or property damage. Give us a call 24/7 at (314) 361-4242 for a FREE case evaluation. Visit https://www.hoffmannpersonalinjury.com/ for more information. Driving an SUV can make you feel safer, because of its larger size. Most people believe that when you are in an SUV and you get into a collision with another smaller vehicle, you are less likely to feel an impact or suffer injuries. However, this may not always be true. Due to the fact that SUVs are taller than other vehicles, they are more prone to rolling over when there is a crash. When a vehicle as big as an SUV rolls, the injuries caused can be catastrophic. The vehicle’s roof may collapse or may be crushed. This can lead to serious head and brain injuries. Some experts also believe that the seat belts in an SUV may not tighten in a rollover as it would do in any other type of impact. This can cause the occupants to get jerked severely, which can lead to severe injuries. If the doors fail to latch properly in a rollover, occupants can get ejected and suffer severe injuries if they impact the pavement or another hard surface. 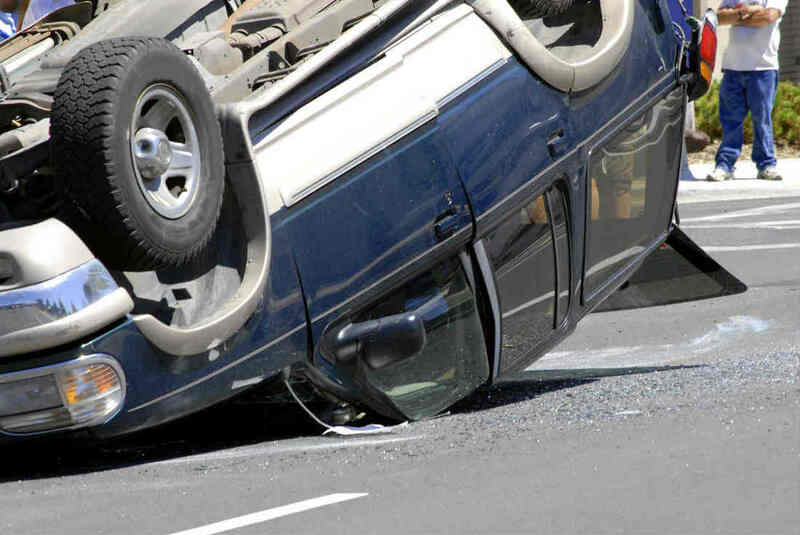 In this post, our St. Louis car accident attorney discusses the common injuries sustained by occupants in case of an SUV rollover crash. Head and brain injuries: If the roof of the roof of the SUV collapses in an SUV crash, it can result in serious head and brain injuries, which can leave the person disabled for life. Rollovers can also cause skull fractures and disfiguring facial lacerations due to broken glass and other debris. Chest injuries: While all modern vehicles come with airbags, if the airbags fail to deploy, the victim can suffer a crushing chest injury or broken ribs. Neck injuries: If the neck is jerked in a way that causes the neck to overextend, the occupant can suffer a whiplash. It can also cause a slipped or herniated disc in the neck, and even severe nerve damage. Soft tissue injuries: The victim of an SUV rollover may also stretched or torn ligaments, tendons or muscles. These injuries can affect the person’s ability to move body parts and may hamper with the ability to perform daily functions. Broken bones: Forceful impact of the rollover can cause broken bones. Broken bones in the legs, arms, or any other area can be extremely painful, disabling and take a long time to heal. Cuts and bruises: While these injuries may not be life threatening, they are often extremely painful and disfiguring. If you have been in an SUV rollover crash that was caused due to the negligence of another driver, you should pursue a claim for all your damages with the help of an experienced and competent St. Louis car crash attorney. Call (314) 361-4242 for a FREE case evaluation. Signs and signals on roads guide, inform and instruct drivers and pedestrians about the rules to be followed on the particular roadway. For example, the signals placed at an intersection guide vehicles to stop or go, and tells pedestrians when to cross the intersection. Signs like silence zone signs, signs that indicate playing children, speed limit signs, etc., all are essential to keep the busy roads free of accidents. However, some roads do not have any signs or signals. In such cases, how do pedestrians and vehicles maintain road discipline and avoid accidents? According to our St. Louis car accident lawyer, right-of-way laws are standard laws that come into play when there are no signs and signals to keep traffic in check. The right-of-way laws indicate who should yield the right of way. The right-of-way laws in Missouri help maintain on-road safety as these laws are founded in common sense, enabling pedestrians as well as motorists to safely use roads and prevent accidents. When pedestrians are crossing the road, especially on a zebra crossing or when the pedestrians signal is on, drivers must yield. Moreover, if motorists are crossing a sidewalk, exiting or entering an alley, parking area or driveway, they must yield to pedestrians. Vehicles that intend to turn left should yield right-of-way to vehicles driving straight. 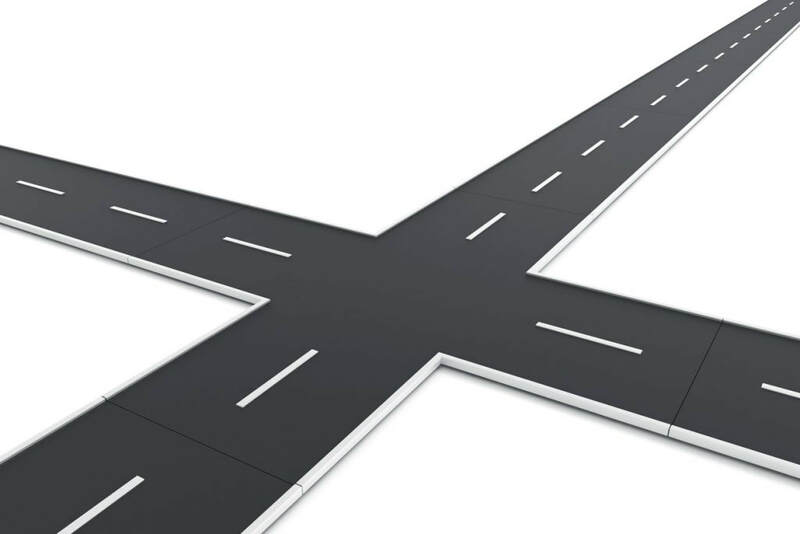 At a four-way intersection, the first driver to reach the intersections goes first. Motorists that are entering a roadway from an alley, parking, roadside or a driveway should yield to those vehicles already on the road. Motorists should give right-of-way to vehicles approaching from the right side on intersections that have no signs or signals. A roundabout is an exception to the above rule and motorists in a roundabout should yield to pedestrians and vehicles already in the circle. Sometimes, even pedestrians are required to legally yield to motorists. For example, if a pedestrian crosses an intersection when a vehicle is approaching the intersection on a green light, the pedestrian is in violation of the right-of-way law. However, motorists should note that even if the pedestrian has violated the law, it is the motorist who should yield the right-of-way. A blind pedestrian always has the right-of-way. A blind pedestrian can be identified by the presence of a guide dog, or carrying a white cane with a red tip. An emergency vehicle with a sounding horn, siren and flashing lights always has the right of way. Motorists on an intersection should proceed, pull over and park on the side to let an emergency vehicle pass through. In Missouri, it is mandatory for vehicles to yield the right-of-way to a funeral procession. Moreover, a funeral procession has the right-of-way regardless of the sign or signal. However, they have to yield to an emergency vehicle. If you have been injured in a crash caused by a negligent driver, get in touch with an experienced St. Louis car accident lawyer at The Hoffmann Law Firm, L.L.C. - Call us 24/7 at (314) 361-4242 for a free case evaluation. Car Insurance Claim - Why Talk to a St. Louis Auto Accident Lawyer? When you suffer an injury or property damage from a car accident, talk to a St. Louis auto accident lawyer. Your insurer may find a way to deny or minimize your claim. The insurance adjuster will ask you questions about the car accident. Your answers could actually help the insurance company to get an upper hand in the court later. To prevent yourself from getting into such a tricky situation, call The Hoffmann Law Firm, L.L.C. before speaking to your insurance company about the accident. We can give you the right advice after knowing details about your case. With years of experience in dealing with devious insurers in the court, we understand the strategies used by insurance companies to deny or minimize a genuine claim. The insurance adjuster may ask you whether you have been involved in a previous car accident. When you answer ‘yes’ to the question, they might make a case against you, claiming that your injuries or damages are the result of your previous accident. If you consult an experienced lawyer before talking to the claims adjuster, you will get the necessary guidance on how to talk to the adjuster, what to say, and what not to say. Nearly all leading insurance companies have used this ploy to deny or minimize a claim. If you have been injured in a car accident caused by a negligent driver, contact a St. Louis auto accident attorney to protect your legal rights. Call The Hoffmann Law Firm, L.L.C. at (314) 361-4242. Christopher Hoffmann is a St. Louis car accident lawyer with over 15 years of experience helping injury victims recover compensation.